Following these nutritional strategies can help you reduce or even eliminate some risk factors, such as reducing total and LDL-cholesterol; lowering blood pressure, blood sugars and triglycerides; and reducing body weight. While most dietary plans tell you what you can’t eat (usually your favorite foods! 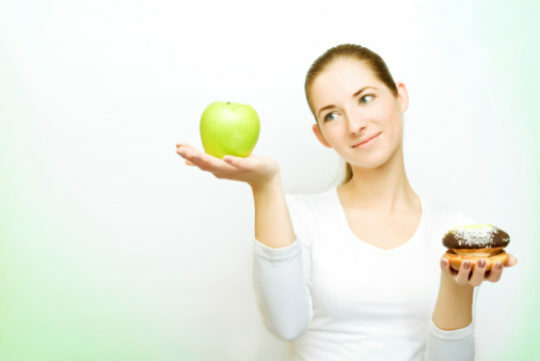 ), the most powerful nutrition strategies help you focus on what you can and should eat. In fact, research has shown that adding certain foods to your diet is just as important as cutting back on others. Research has revealed that the total amount of fat you eat really isn’t linked to heart disease; it’s the TYPE of fat you consume that has the greatest influence. Two unhealthy fats, including saturated and trans fats, raise blood cholesterol and increase the risk for cardiovascular disease. However, two very different types of fat — monounsaturated and polyunsaturated fats — do just the opposite. Refer to the table below to help reduce the fat in your diet. Diets high in saturated fats raise the “bad” cholesterol, low-density lipoprotein (LDL) and increase the risk of developing atherosclerosis (the narrowing of arteries caused by plaque that can lead to a heart attack or stroke). Saturated fats are generally solid or waxy at room temperature and are found primarily in animal products and tropical oils. Listed below are some foods that are high in saturated fat. Most foods you choose should contain no more than 2 grams (g) of saturated fat per serving. No more than 7 percent of your daily calorie intake should come from saturated fats. Depending on your calorie level, your daily saturated fat limit will vary. For a food to be labeled "trans fat free," it must contain no more than 0.5 grams trans fat per serving. Margarines that claim to be trans fat free should contain water or liquid vegetable oil as the first ingredient. These margarines may still contain some hydrogenated oil, but the amount per serving is negligible. However, portion control is key - once you exceed the serving size, the product is no longer free of trans fat. Trans fatty acids raise the “bad” cholesterol (LDL), and lower the “good” cholesterol, high-density lipoprotein (HDL). Trans fatty acids are formed when a liquid fat is converted to solid fat through a process called hydrogenation. Many manufacturers use hydrogenated fats in their ingredients because it creates a product with an extended shelf life and improved consistency. There are currently no safe levels of trans fat to consume each day, so try to keep your daily intake as low as possible. Although trans fatty acids have been largely eliminated from many processed foods, they are still in some foods. Here are some ways to identify trans fats. Any food that contains partially hydrogenated oils (such as most processed foods including cookies, crackers, fried snacks, baked goods) will contain some level of trans fat, even if the label states “trans fat free.” (See box above.) Since the ingredients listed on a food label are provided in order of weight, foods that contain partially hydrogenated oils at the top of the ingredients list contain more trans fat than those that contain partially hydrogenated oils lower on the list. Therefore, watch your portion size. Margarine: Stick margarine contains more hydrogenated oil (trans fat) than tub margarine does; while tub margarine contains more hydrogenated oil than liquid margarine. Look for margarine that does not contain “partially hydrogenated oil” in the ingredient list. A sample ingredient list is included below. Shortening is an example of trans fat in its purest form. Some shortenings now claim to be free of trans fat; however, this may only apply to a food’s serving size (remember it can still have 1/2 gram or less of trans fat per serving.) Unfortunately the fat now used to substitute the trans fat in shortening is high in saturated fat, so it’s still not a healthy choice. Almost all fast foods and fried foods are currently high in trans fat. Some restaurant chains, such as Ruby Tuesday’s, now use a non-hydrogenated or trans fat free oil to fry their foods. But remember that a heart-friendly diet contains very little fried food. Look for foods that are labeled trans fat free or those that use liquid vegetable oils instead of hydrogenated oils in the ingredient list. Omega-3 is one type of poly-unsaturated fat that has additional protective benefits against cardiovascular disease, including lowering triglycerides, protecting against irregular heartbeats, decreasing the risk of a heart attack and lowering blood pressure. Good food sources of omega-3 are fish – especially cold-water fish like mackerel, salmon, herring and sardines. Smaller amounts of this protective fat can also be found in flaxseeds, chia seeds (often sold as salvia), walnuts, soybean and canola oils. To reap the protective benefits of omega-3 fat, incorporate fish into at least two meals per week and add plant-based sources of omega-3, such as ground flaxseeds and walnuts, into your daily eating plans. Recent research findings show that when unsaturated fats are substituted for some carbohydrate in the diet, these good fats reduced harmful LDL and increased healthy HDL cholesterol. In addition, replacing a carbohydrate-rich diet with one rich in unsaturated fat, primarily monounsaturated, lowered not only cholesterol but also blood pressure and overall heart disease risk. According to the latest national cholesterol guidelines, your total daily fat intake should range from 20 to 35 percent of your total daily calories. How much fat you should eat depends upon your individual cardiovascular disease risk and lipid levels. Ask your physician or dietitian for more information. By choosing unsaturated fats instead of saturated fats whenever possible, you’ll be able to meet these guidelines. Because cholesterol is made from the liver, it is only found in foods of animal origin (not in plant-based foods). For most people, the amount of cholesterol in the diet has a modest impact on their blood cholesterol levels. However, there are many people whose blood cholesterol levels fluctuate very strongly with the amount of cholesterol eaten. In addition, cholesterol in the diet greatly affects people who have diabetes. It is important for everyone to make an effort to limit total dietary cholesterol. If you have high cholesterol, limit your daily dietary cholesterol to 200 milligrams; if you have normal cholesterol levels, limit to 300 milligrams daily. Eat three or fewer egg yolks per week. Choose egg whites or egg substitutes instead. Remove skin from poultry before eating; trim fat from red meat before eating. Limit red meat and poultry portions to a3-ounce portion (size of a deck of cards). Choose nonfat or low-fat cheeses. Limit total cheese intake to three meals weekly. Try soy-based cheese alternatives on sandwiches or in casseroles. Choose broth over cream-based soups. Limit high-fat dairy foods such as cream cheese, 4 percent cottage cheese or whole milk yogurt; choose nonfat or low-fat varieties. As part of a healthy diet, fiber can reduce cholesterol. Dietary fiber is a type of carbohydrate that the body cannot digest. It’s found primarily in whole grains, fruits, vegetables and beans. As fiber passes through the body, it affects the way the body digests foods and absorbs nutrients. A diet rich in fiber has health benefits beyond cholesterol control: it helps control blood sugar, promote regularity, prevent gastrointestinal disease and helps in weight management. There are two types of dietary fiber: soluble and insoluble. Each has a unique effect on health. Soluble (viscous) fiber: Provides the greatest heart-health benefit because it helps to lower total and LDL-cholesterol. Good sources of soluble fiber include oats, oat bran, barley, legumes (such as dried beans, lentils and split peas), psyllium, flaxseed, apples, pears and citrus fruits. Insoluble fiber: Generally referred to as “roughage.” Insoluble fiber promotes regularity, adds bulk and softness to stools, helps with weight regulation and helps prevent many gastrointestinal disorders. Good sources of insoluble fiber include wheat bran, whole wheat and other whole grain cereals and breads, nuts and vegetables. Foods contain a mix of soluble and insoluble fiber. To receive the greatest health benefit, eat a wide variety of all high-fiber foods. For a fiber-packed lunch, toss ½ cup garbanzo beans into a leafy green salad. Purchase whole-wheat pasta and brown rice instead of enriched varieties. Give zest to broth soup by adding vegetables, dried beans or barley. Snack on fresh fruit, vegetables or a homemade nut and dried fruit mix. The best sources of dietary fiber are raw or cooked fruits and vegetables, whole-grain products and legumes (such as dried beans, lentils or split peas). Refined foods such as white bread, pasta and enriched cereals are low in dietary fiber. The refining process strips the outer coat (called the bran) from the grain, lowering the fiber content. Only three percent of Americans consume the recommended amount of fruits, vegetables, legumes and grains recommended by health professionals. To maximize your intake of heart-disease-fighting antioxidants, vitamins, minerals, protein and dietary fiber, adopt the following three strategies. b. Aim for 1/2 cup of legumes at least 4 times weekly. Add beans to salads, have split pea soup or toss lentils into a rice dish. Legumes are a powerhouse of protective nutrients - including potassium, fiber, protein, iron and the B-vitamins. c. Enjoy 5 ounces of nuts each week. Researchers have linked regular intake of nuts to a lower incidence of heart disease. Moderate consumption (no more than 1 ounce) of nuts per day provides you with many protective nutrients like vitamin E, zinc, iron, protein, monounsaturated fats and dietary fiber. Choose fresh or dry roasted, unsalted nuts and natural peanut butter for maximum heart protection. Avoid sugared, salted or oil roasted varieties. Purchase nuts in the bulk-food section of the grocery store or near the baking isle. Bag some raw vegetables or fruit and take to work for a quick snack. Buy pre-cut vegetables to save time. Toss nuts into salads, in stir-fries or trail mixes, or eat them plain. Spread peanut butter on crackers, celery, toast or even stir into your morning oatmeal. Have a vegetable-based soup with your usual sandwich at lunch. Instead of a cookie, enjoy a fresh, crisp apple for dessert. Keep fresh fruit on your desk or workspace. Keep dried fruit, nuts or canned fruit with you if you predict you’ll be missing a meal. Increase plant sources of protein and start reducing your intake of animal protein. Research shows this can have positive overall impact on heart health. Substituting non-meat sources of protein for meat significantly reduces saturated fat and cholesterol and boosts heart-disease-fighting fiber, vitamins, minerals and antioxidants. Choose 2 to 3 vegetable protein meals weekly, such as split pea soup, garbanzo bean salad, soy or black-bean burgers, tofu stir-fry or textured vegetable protein. Limit red meat intake to no more than one meal weekly (this includes beef, pork and veal). Choose 2 skinless poultry meals weekly. Aim for a minimum of 6 ounces of omega-3-rich fish (two meals) weekly. Skipping meals is not recommended. Small, frequent meals and snacks appear to promote weight loss and maintenance and give you an opportunity to consume important nutrients throughout the day. Skipping meals only lowers metabolism and deprives you of key nutrients. Researchers have found that people who balance their calories into four to six small meals each day have lower cholesterol levels. Divide calories into 4 to 6 smaller meals. Eat the bulk of the day’s calories during daylight hours for maximum energy. 7:00 am - 1 cup cooked oatmeal with 2 Tbsp raisins, 6 almonds, 8 ounces skim milk. 9:30 am - ½ cup 1% fat, calcium-fortified cottage cheese mixed with ½ cup canned mandarin oranges (in extra light syrup), 8 ounces of water. 12:15 pm - 2 cups salad (spinach, Romaine, celery, cherry tomatoes, cucumber, carrots, onion, garlic) topped with ½ cup garbanzo beans and mixture of 1 tsp olive oil, 2 Tbsp red wine vinegar; medium apple; 5 whole-wheat crackers and 16 ounces water. 3:00 pm - 1 ½ cups raw vegetable mix (green peppers, cauliflower, cherry tomatoes, carrots) dipped in ¼ cup hummus, 8 ounces of water. 6:00 pm - 4 ounces grilled salmon served with 1 cup brown rice, 1 ½ cups steamed broccoli, 1 small rye roll with 1 tsp trans free margarine and 16-ounces water. 8:00 pm - (optional) ½ cup nonfat chocolate pudding topped with ½ banana, 8 ounces water. Nutrient Analysis: 1,850 calories, 24% total fat (52 grams), 4% saturated fat (8 grams), 11% monounsaturated fat (19 grams), 5% polyunsaturated fat (10 grams), 95 milligrams cholesterol, 41 grams total fiber, 2,200 milligrams sodium. When you are trying to follow an eating plan that’s good for you, it may help to know how much of a certain kind of food is considered a "serving. "; The table below offers some examples.